You may think a Valentine Love Spell is a relatively new idea. But both the ancient Greeks and Romans honoured and celebrated mid February as a time for love, pairing and fertility, long before the Christians hijacked this special time and named it after St. Valentine. Throughout the ages mid February has been associated with love and because of this a special 'love energy' is created at this time. Love, literally is in the air on February 14th and is therefore the perfect time to harness the love energy created by casting a special Valentine Love Spell. Here I'm offering to cast for you a very special Valentine Love Spell on the evening of St. Valentine's Day, February 14. This Valentine Spell uses the love energy that abounds on this date to make your dream of a loving, lasting, faithful and committed relationship a reality. Why spend yet another St. Valentine's Day feeling unhappy, unfulfilled, unloved, broken hearted and lonely? St. Valentine's Day is the perfect time to have a Love Spell cast personally for you by me, Alizon. I am a genuine, renowned and respected English White Witch and have effectively Spell cast for many thousands of people throughout the world. The special Valentine Love Spell causes harm to none, cannot backfire and does not force or bend the will of anyone. I work only in love and light and use only the positive form of White Magic. My Spells can only help and never hinder. Whatever your current situation and however complicated it may be I am certain I can help. The special Valentine Spell I have formulated will be customised personally to your specific situation. So, whether you want to reunite with an ex lover, attract someone you have strong feelings for, find a true soul mate or gain commitment and faithfulness from a current partner or any other situation this Valentine Love Spell can be customised for you. 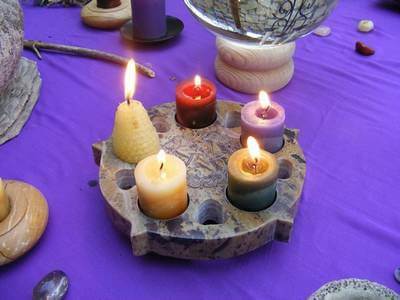 This Spell is Thrice Cast which means it is cast 3 times in one evening to add immense power and positive energy. Cast 3 times for Powerful & Potent Energy. Once you have decided to have a Spell cast by me and I have all the details I need I will prepare to cast for you as soon as possible. I will send via email a full account of the Spell I will cast on your behalf. Along with your Spell, I will also cast for you a Free Spell in the form of a Purifying Cleansing Spell, more commonly known as a Curse Removal Spell. This will help remove any negativity that might prevent your Spell working. Ridding negative energy is very important as it can be very damaging and toxic and cause all kinds of bad luck. It can prevent you living the kind of life that you most desire. I will cast this free Spell on your behalf to clear any negative energies swiftly and allow the supportive influences and positive elements of your Spell to act very quickly and enables you to be open and ready to receive your desired outcome. Through the ages and within every culture older wise women have passed down their knowledge and skills of healing herbs, medicinal plants, phases of the moon and sun, the alignment of the stars and other natural phenomenon to younger generations. The crafting of ingredients, coupled with prayers, rhymes or chants (Spells) were sent out to the Universe to increase abundance, to bring love, to aid fertility and for protection. I possess the knowledge, skill, expertise and experience to successfully cast Spells that work with the Universe to help you with your desires. 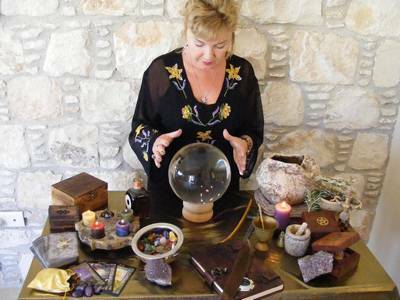 I am an experienced Spell caster of 40 years and have a wide knowledge of herbs, oils, crystals and other ingredients, their qualities, their energies and how to use them successfully. And even if you are slightly skeptical, uncertain or wary, powerful positive energies combined with expert Spell casting will soon have you convinced in the power of Magic. 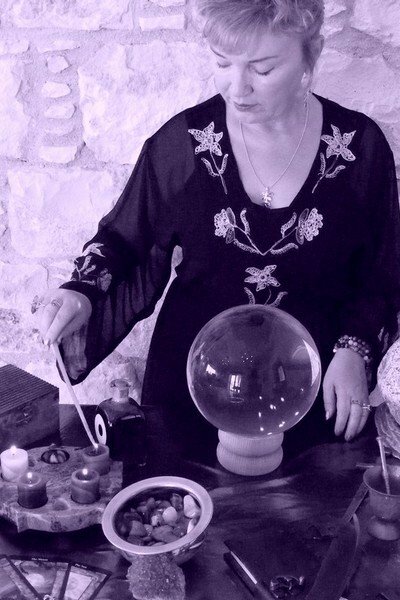 I ensure that my Spells are carefully crafted, use only positive energies and are cast expertly and effectively. I personally guarantee that I will give a 100% effort using all my expertise and experience and do my utmost to cast a successful Spell to get the real results you want. Your personal and individual Spell will be formulated, personalised and expertly cast by me using the relevant and appropriate ingredients to aid speedy manifestation. I keep my dealings with you completely private and confidential. Your e-mail address and information is totally secure. Don't worry if you have missed out on the St Valentine Day Magic, as there are other chances to have a very special Love Spell cast for you to allow your dreams to come true on other dates throughout the wheel of the year. Having a Spell cast can bring miraculous results very swiftly and can literally change your destiny for the better. And even if you are slightly skeptical, uncertain or wary, powerful positive energies combined with expert Spell casting will soon have you convinced in the power of Magic. St. Valentine's Day, February 14 can be an amazing day if you are in love and have met your ideal match. You can almost feel the love in the air on this very special day. Of course the ancients celebrated love, passion and fertility at this particular time of year before the festival became Christianised and given the name of the Saint who purportedly wed lovers in secret and was persecuted for his acts. He was of course St. Valentine. Pagans and all nature based religions knew this time of the year as a time for pairing. Birds supposedly make their love matches – many for life at this time of year. If you have been lucky enough to find your perfect life match then count yourself lucky and take the opportunity to show your lover how much you love and appreciate them. If, however you are currently without a loving, faithful and committed partner then having a Love spell cast is the answer. This is your opportunity to have me; Alizon, White Witch and Spell caster personally cast your own powerful Valentine Love Spell. My Spells are cast in love and light, with harm to none and do not bend the will of anyone. In this way you can be assured that all positive ways to allow you your heart's desire are sought out. Love Spells that work with the Law of Attraction are known to be very powerful and enable your wish or desire to be sent to the Universe swiftly and effectively. I also offer a Free Spell in the form of a Cleansing Spell to remove any negative energies that may be surrounding you. This helps purify and cleanse your aura making you open and ready to receive positive energies and your heart's desire.